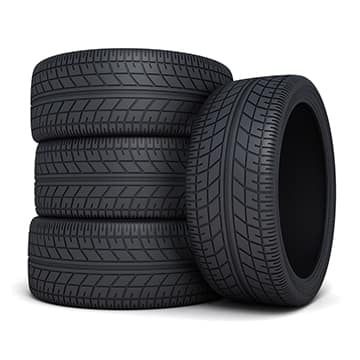 Purchase 3 tires and receive the fourth tire for $1.00! Offer subject to change, see dealer for complete details. Coupon not valid with any other offer. Must present coupon at time of purchase. Limit one coupon per person. Coupon does not apply to prior purchases. Other Restrictions may apply. Void where prohibited. Tax, supplies and environmental fees extra. Valid only at Jay Wolfe Toyota, Toyotas only. 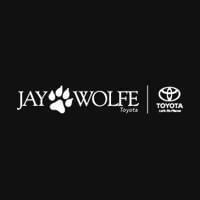 Must purchase 3 tires from Jay Wolfe Toyota to receive the 4th tire for $1.00. Offers end 04/30/2019. 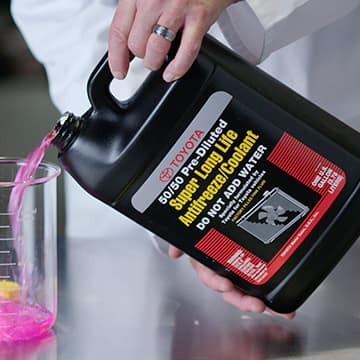 Let Jay Wolfe Toyota ensure your vehicle’s antifreeze is ready for winter! Anti-Freeze drain and fill service includes up to 2 gallons of coolant. Offer subject to change, see dealer for complete details. Coupon cannot be combined with any other offers and does not apply to prior purchases. Coupon must be presented at time of write-up. Limit one coupon per person. Price does not include tax and environmental fees. Other Restrictions may apply. Void where prohibited. Offers only valid at Jay Wolfe Toyota. Toyota vehicles only. Anti-Freeze drain and fill service includes up to 2 gallons of coolant. Sales tax extra. Offer ends 04/30/2019. Let Jay Wolfe Toyota ensure your vehicle's antifreeze is ready for winter! Anti-Freeze drain and fill service includes up to 2 gallons of coolant. Includes conventional oil and filter change, up to 5 quarts of oil. Synthetic, diesel and hybrid vehicles are additional. Offer subject to change, see dealer for complete details. Coupon cannot be combined with any other offers and does not apply to prior purchases. Coupon must be presented at time of write-up. Limit one coupon per person. Price does not include tax and environmental fees. Other Restrictions may apply. Void where prohibited. 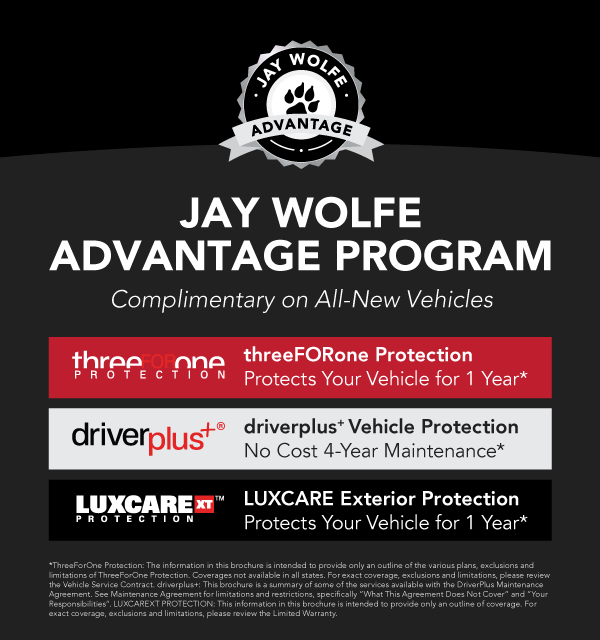 Offers only valid at Jay Wolfe Toyota. Toyota vehicles only. Oil change special includes up to 5 quarts of oil. Synthetic, diesel and hybrid vehicles are additional. Sales tax extra. Offer ends 04/30/2019. Includes synthetic oil and filter change, up to 5 quarts of oil. Offer subject to change, see dealer for complete details. Coupon cannot be combined with any other offers and does not apply to prior purchases. Coupon must be presented at time of write-up. Limit one coupon per person. Price does not include tax and environmental fees. Other Restrictions may apply. Void where prohibited. Offers only valid at Jay Wolfe Toyota. Toyota vehicles only. Oil change special includes up to 5 quarts of oil. Diesel and hybrid vehicles may be additional. Sales tax extra. Offer ends 04/30/2019. 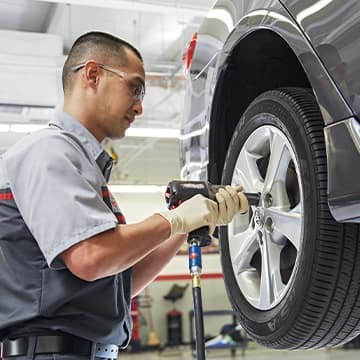 We’ll align your front or rear end to manufacturer’s specifications and inspect your tires and suspension parts when you purchase any set of 4 tires. We'll align your front or rear end to manufacturer’s specifications and inspect your tires and suspension parts when you purchase any set of 4 tires. We’ll install your windshield wipers for FREE when you purchase a set of Sightline Wiper Blades. Offer subject to change, see dealer for complete details. Coupon cannot be combined with any other offers and does not apply to prior purchases. Coupon must be presented at time of write-up. Limit one coupon per person. Price does not include tax and environmental fees. Other Restrictions may apply. Void where prohibited. Offers only valid at Jay Wolfe Toyota. Toyota vehicles only. Must purchase a set of Sightline Windshield Wiper Blades for free wiper installation. Sales tax extra. Offer ends 04/30/2019. 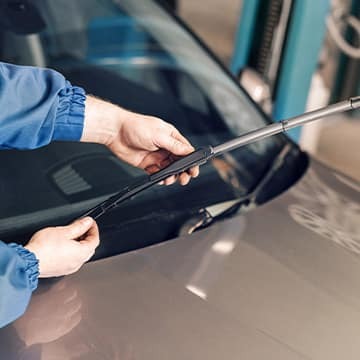 We'll install your windshield wipers for FREE when you purchase a set of Sightline Wiper Blades.